WP Ticket lets you organize your tickets. Categorization and tagging of support tickets helps your support team and customers find important information faster. In addition, support tickets are color-coded based on ticket priority to let support team members and customers see similar ones quickly. Categorize tickets on topics, priority, status. Use tag filters to create custom reports. 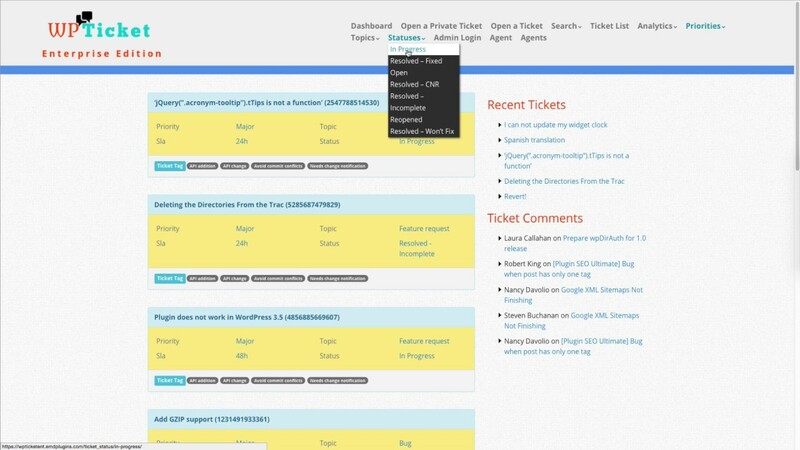 Display your tickets on separate pages for each category and tag.